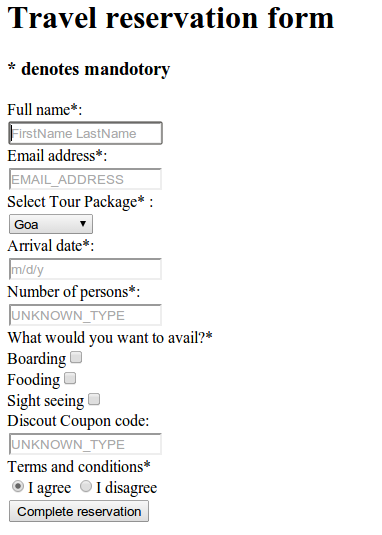 In this exercise you will create a simple HTML form. Previous: Create a simple HTML page having a complex table. Next: Embed Audio and Video in an HTML page.